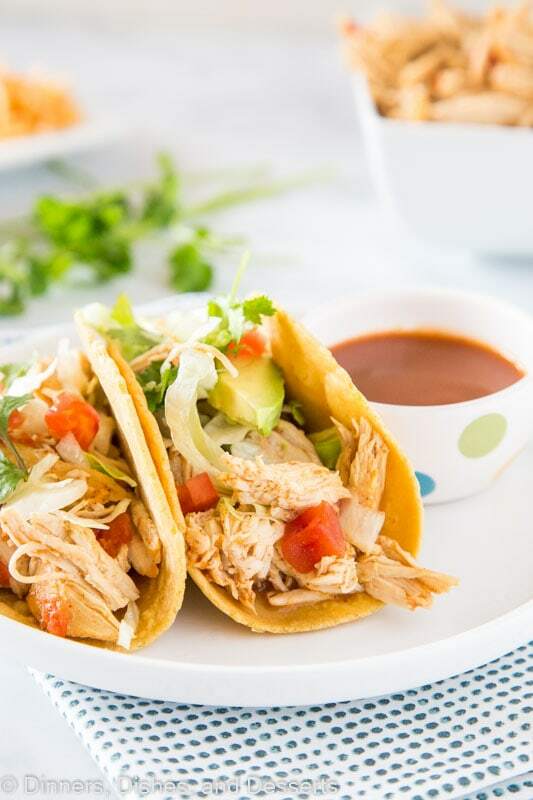 Instant Pot Chicken Tacos – make taco night extra tasty with this flavorful and easy chicken! Great for tacos, salads, quesadillas, burritos and more all week long! Taco night just be my favorite night of the week. I pretty much love all Mexican food, so taco night is just an excuse to have more of it! 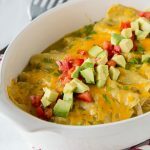 If I could have Sour Cream Enchiladas multiple times a week, I probably would. What goes best with taco night? 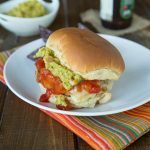 Homemade Guacamole for topping and for dipping your chips in! There are just so many delicious options, it is hard to narrow it down to a favorite. So Mexican night, every night sounds like a win to me. I mean who is going to turn down Creamy Salsa Chicken? We are all for your traditional ground beef tacos, no problem with those here. But sometimes we like to mix it up. Years ago we got on a chicken taco kick for awhile, but I am not sure what happened to it. 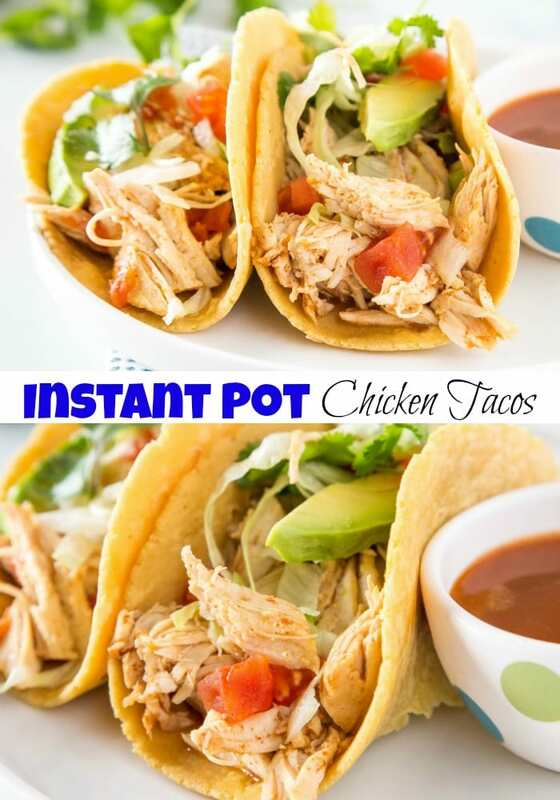 It is time to bring it back with these Instant Pot Chicken Tacos. I am pretty much obsessed with my Instant pot lately, and love to try just about anything in it. 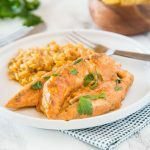 Instant Pot Pork Tenderloin was the latest and it was tender and delicious. 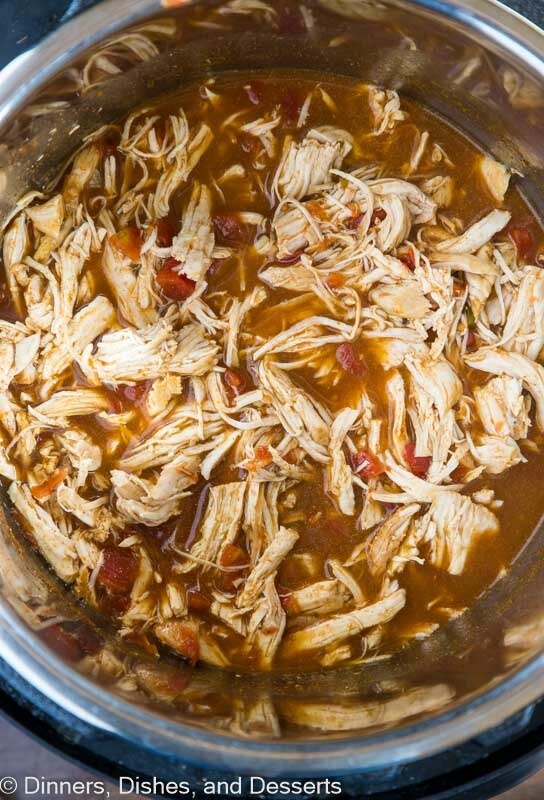 This s basically just a Mexican flavored Instant Pot Shredded Chicken. So it is great to make tacos with tonight and then use the leftovers to make a salad for lunch the next day, or quesadillas, burritos, or even enchiladas. So many great things to do with the leftovers. Add a can of Rotel tomatoes. You can use salsa, or diced tomatoes, or fire roasted tomatoes here. But I the Rotel best, because it stands up to the cooking process and gives it just a hit of spice. Add your liquid. You need about 3/4 of a cup of water in the bottom of your Instant Pot or it will burn. You can use water or chicken broth here, doesn’t really matter. Close the lid and start it up! Cook for 15 minutes under pressure, and then natural release for 5 minutes. If you are starting from frozen, I cook for 20 minutes under pressure and then natural release for 5 minutes. Shred the cooked chicken and load up your tacos with your favorite toppings; cheese, lettuce, tomatoes, black olives, sour cream, jalapenos, avocados and more! 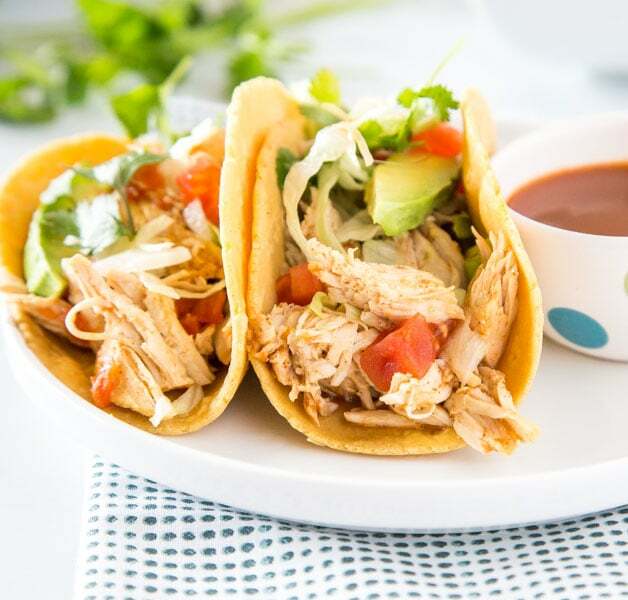 These Instant Pot Chicken Tacos really just have 3 ingredients. You need the chicken, taco seasoning, and tomatoes. That is it! The chicken gets all nice and tender with tons of flavor from the tomatoes and the seasoning. 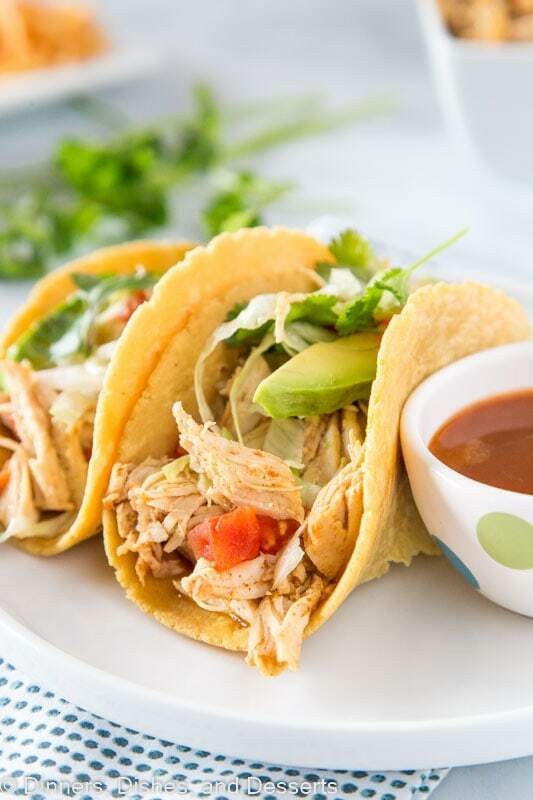 Chicken tacos are great in both soft flour or corn tortillas as well as crunchy taco shells. 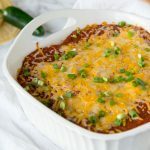 Whatever your family likes works great for this recipe. Sides for chicken tacos are easy! Homemade Refried Beans are a favorite. Chips with salsa or guacamole is always a hit with my guys. 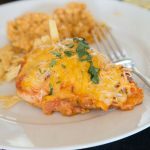 Or my all time favorite Mexican Rice is absolutely delicious! 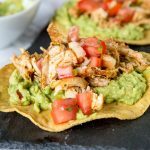 Instant Pot Chicken Tacos - make taco night extra tasty with this flavorful and easy chicken! Great for tacos, salads, quesadillas, burritos and more all week long! 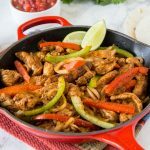 Generously season both sides of the chicken with taco seasoning. Set for 15 minutes under high pressure. 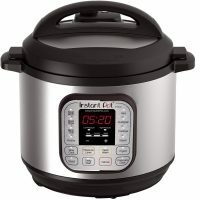 Naturally release the pressure for 5 minutes, and then quick release until the Instant Pot unlocks. Remove the chicken and shred. Add back and mix with all the juices at the bottom. 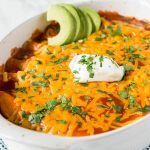 This is so easy using the Instant pot! Great weeknight option. I know my family is going to love this! 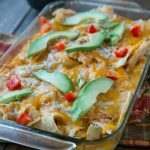 My kids would love the tacos and I’d love to use it for salad, so versatile! Yesssss! 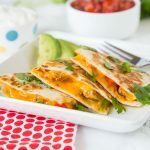 I love all tacos and these are perfect for busy weeknights! 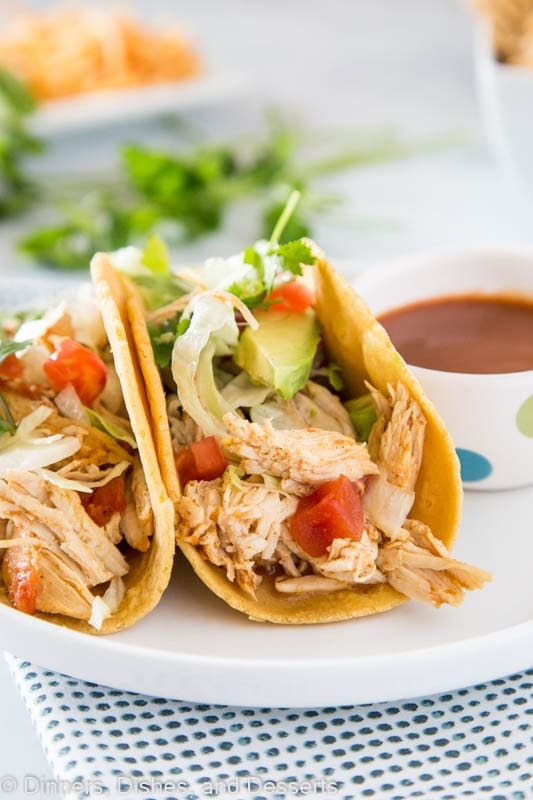 These chicken tacos look amazing! So delicious and full of flavor! This needs to happen soon for dinner! 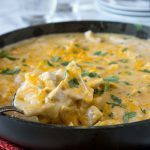 So easy to make using the instant pot! Looks delicious! 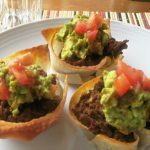 This is the best way to use an instant pot….make tacos!